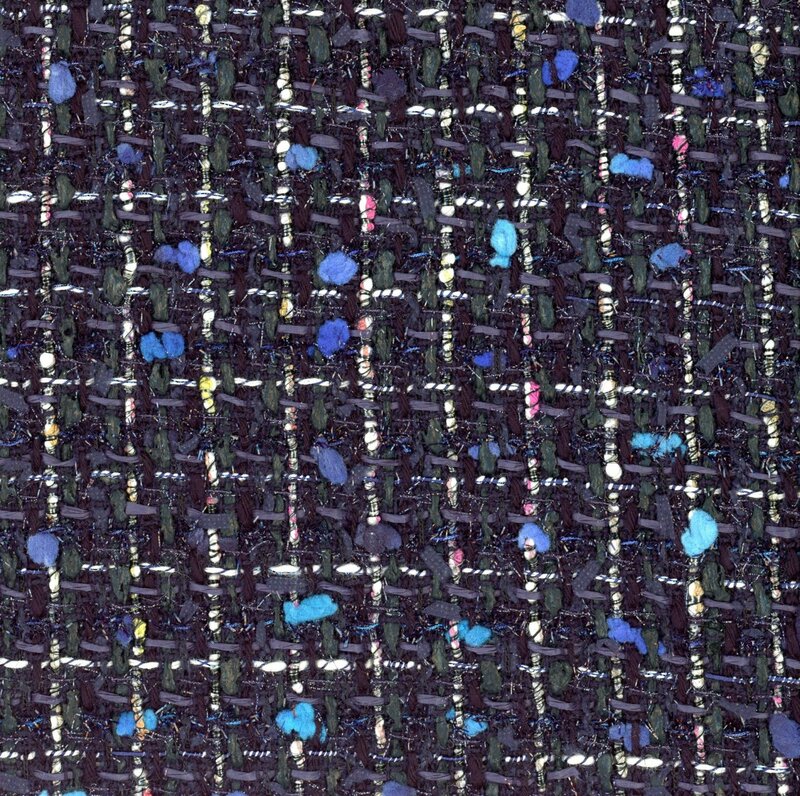 From one of the suppliers to the haute couture, this beautiful novelty woven tweed is a cotton/rayon blend, and 54" wide. The beautiful tweed is interwoven with ribbon yarns and just a bit of lurex. Very chic!